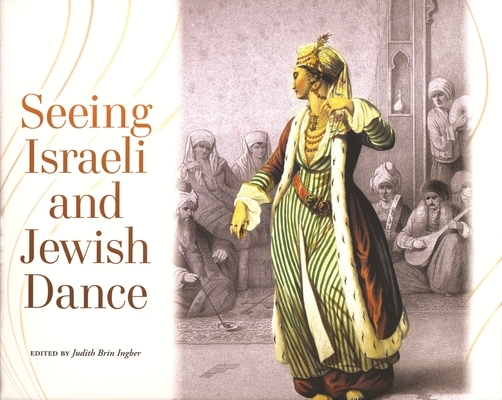 Choreographer, dancer, and dance scholar Judith Brin Ingber presents her book, a collection of wide-ranging essays and photographs exploring the evolution of Jewish dance through two thousand years of Diaspora, in communities of amazing variety and amid changing traditions. With an introduction by Dr. Naomi Jackson from ASU. 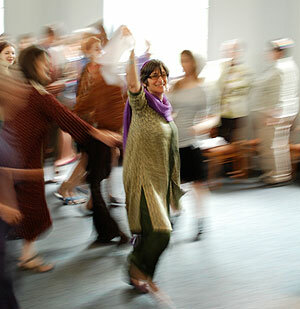 Ingber and other eminent writers consider dancers individually and in community, defining Jewish dance broadly to encompass religious ritual, community folk dance, and choreographed performance. Taken together, this wide range of expression illustrates the vitality, necessity, and continuity of dance in relation to Jewish culture. This volume combines dancers' own views of their art with scholarly examinations of Jewish dance conducted in Europe, Israel, other Middle East areas, Africa, and the Americas. In seven parts, Seeing Israeli and Jewish Dance considers Jewish dance artists of the twentieth and twenty-first centuries; the dance of different Jewish communities, including Hasidic, Yemenite, Kurdish, Ethiopian, and European Jews in many epochs; historical and current Israeli folk dance; and the contrast between Israeli and American modern and post-modern theater dance. Along the way, contributors see dance in ancient texts like the Song of Songs, the Talmud, and Renaissance-era illuminated manuscripts, and plumb oral histories, Holocaust sources, and their own unique views of the subject. A selection of 182 illustrations, including photos, paintings, and film stills, round out this lively volume. Many of the illustrations come from private collections and have never before been published, and they represent such varied sources as a program booklet from the 1893 Chicago World's Fair and archival photos from the Israel Government Press Office. Seeing Israeli and Jewish Dance threads together unique source material and scholarly examinations by authors from Europe, Israel, and America trained in sociology, anthropology, history, cultural studies, Jewish studies, dance studies, as well as art, theater, and dance criticism. Enthusiasts of dance and performance and members of the Jewish community will find this a fascinating read.